﻿ Best Price on White Beach Apartments Eagle Beach in Noord + Reviews! A 5 minute drive from Eagle Beach, White Beach Apartments offers a communal outdoor pool, lounge chairs and tropical gardens. The modern, air-conditioned apartments feature private terraces, free Wi-Fi and bathrooms with hot water. Each stylish White Beach apartment has views of the pool and gardens. All apartments include a bright living-dining area with a flat-screen TV. Kitchenettes feature a stove, coffee maker, microwave and toaster. White Beach Apartments is just a 5 minute drive from local restaurants and supermarkets, as well as Bubali Bird Sanctuary. Tierra del Sol Golf Course is one mile away. Free parking is available on site. Arikok National Park is a 20 minute drive from the complex. 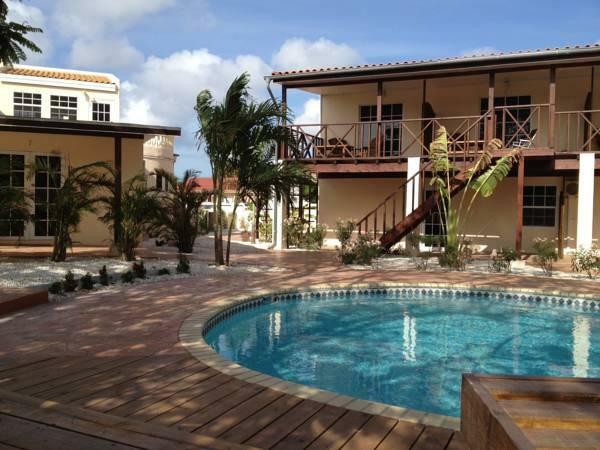 The historic center of Oranjestad is a 10 minute drive away, while Reina Beatrix Airport is 15 minutes away. Please note that you have to pay due at check (on top of service charge) 25 USD for utilities. Additional usage will be at extra cost. Please note that an extra service charge of USD 25 applies to stays of less than 6 nights. Please inform White Beach Apartments Eagle Beach of your expected arrival time in advance. You can use the Special Requests box when booking, or contact the property directly using the contact details in your confirmation.